The Grand Balcon Nord is a superb traverse from the dramatically sited Signal Forbes, high above the vast Mer de Glace glacier on Mont Blanc's northern slopes, along a (relatively) gentle "balcony" under the spires and serrations of the great mountain's broken flank, high above the Chamonix Valley, to the Plan de l'Aiguille cable car station. This walk is in high mountains. Come prepared. The Grand Balcon Nord is a superb traverse from the dramatically sited Signal Forbes, high above the vast Mer de Glace glacier on Mont Blanc's northern slopes (with views direct onto its famous Aiguille Vert spire and its dramatic neighbours), along a (relatively) gentle "balcony" under the spires and serrations of the great mountain's broken flank, high above the Chamonix Valley, to the Plan de l'Aiguille cable car station, where you can return to Chamonix the easy way (having made a side-trip to the high, dramatic Aiguille du Midi peak) or walk down the several thousand tough feet to Chamonix. 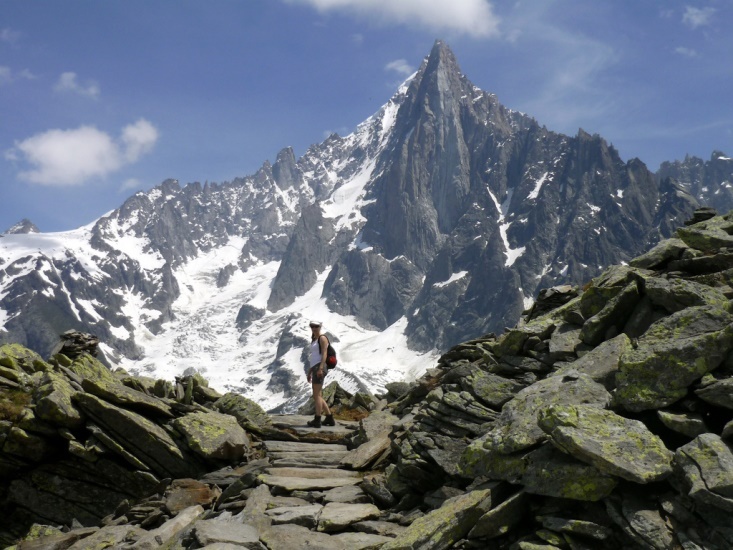 Fantastic views across the deep Chamonix valley to the broken drama of the Aiguilles Rouges on its northern slopes. You can climb the 1,300-odd metres to Signal Forbes on a long, steady, but quite tiring track, mainly in forest, or take a funicular up to the hotel some way below Signal Forbes and walk on from there. The whole walk takes up to 7hrs. It is around 2 1/2hrs, including stops, from the hotel to the cable car station. 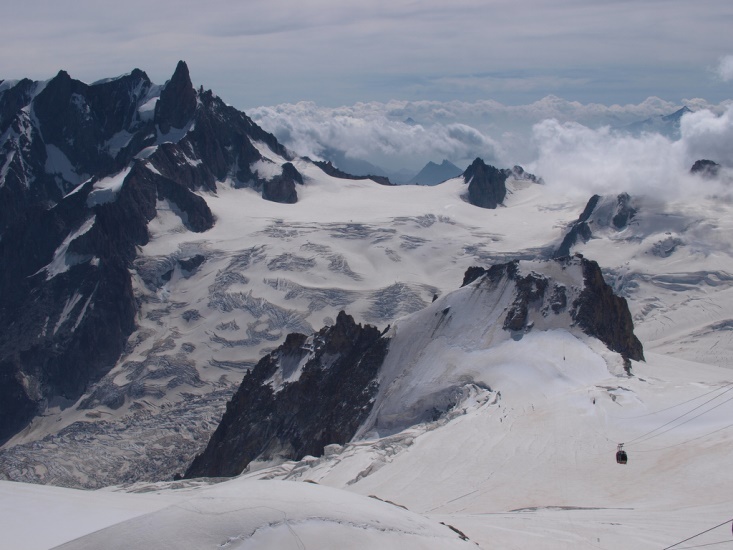 See our Mt Blanc Area page for photos and further general information on this area.